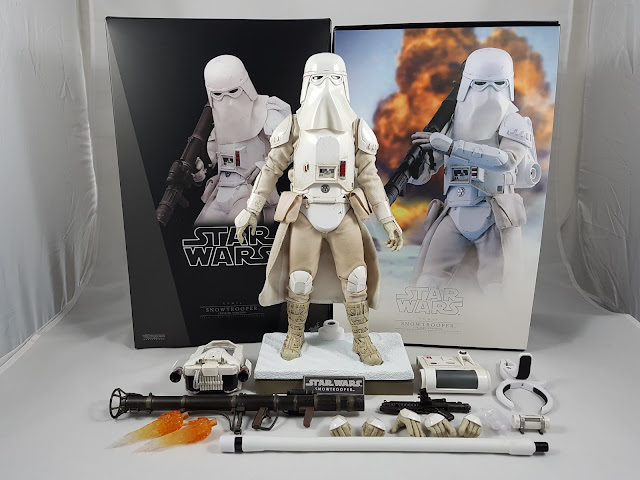 I wasn't planning on getting a Hot Toys Snowtrooper since I already had the old Sideshow version, but the local Aussie Christmas sales were actually pretty damn good this year! Unfortunately I missed out on even bigger discounts after Christmas on this figure, but overall I'm pretty happy with the purchase. Click the link below to check out my full video review over on the Kool Kollectibles YouTube channel! This Deluxe set certainly comes with a lot of accessories, with additional features from the Battlefront game. 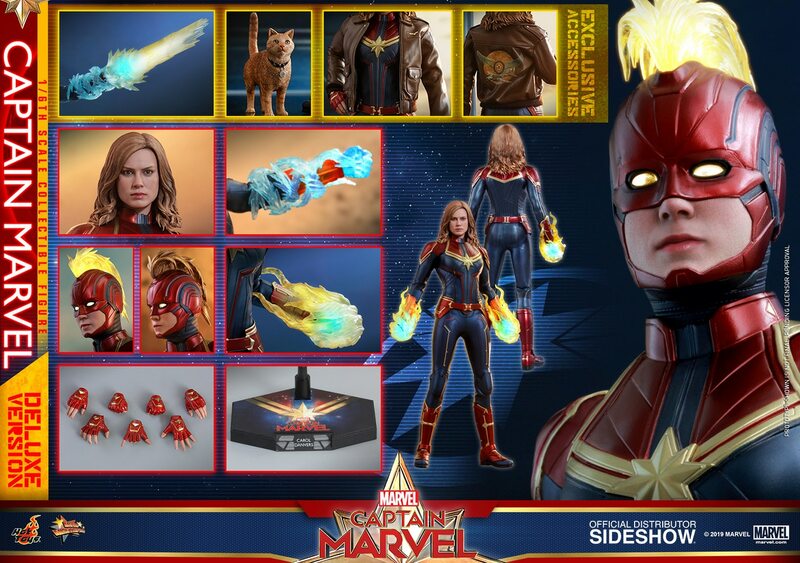 I'll be sticking with the core accessories from the movie though, but options are always good. 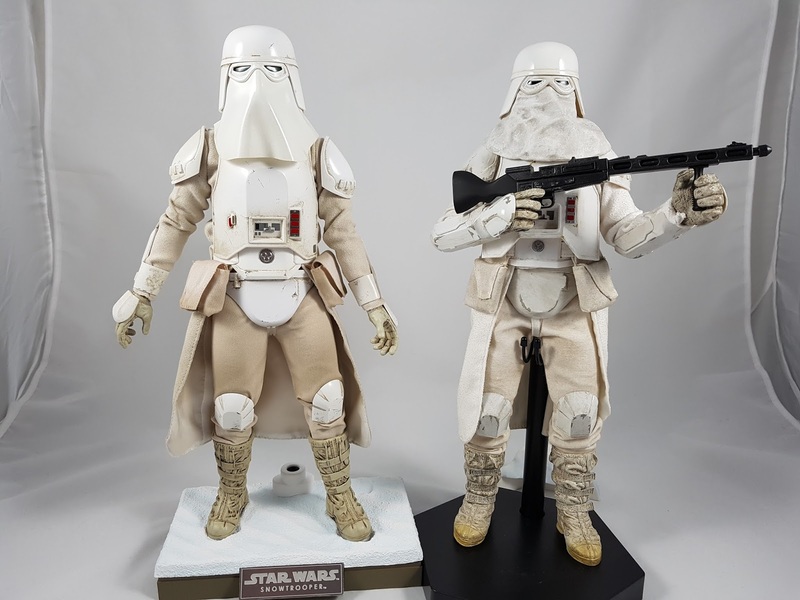 The improvement over the previous Sideshow version is immediately obvious. The helmet and veil is a massive improvement in terms of movie accuracy. The visor is much better, and the thin veil material moves and changes with different orientation of the helmet. The underlying body is also a big improvement, with articulation that is far superior to the Sideshow figure. There are still aspects of the Sideshow figure I like, such as the pants and kama material. If I can find a cheap Hot Toys helmet, I might keep the Sideshow figure and just replace the helmet! Overall, if you're a fan of The Empire Strikes Back, you'll be very happy with this Snowtrooper figure!